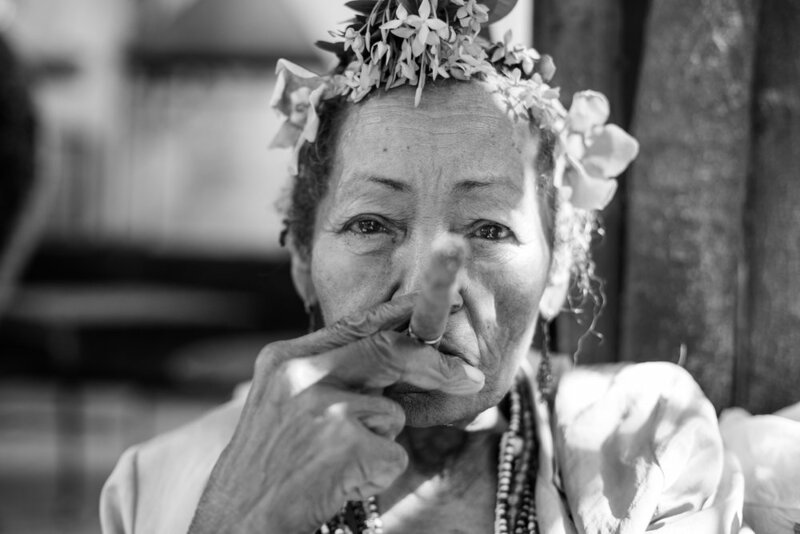 A beautiful elderly Cuban woman poses with a Cuban Cigar. 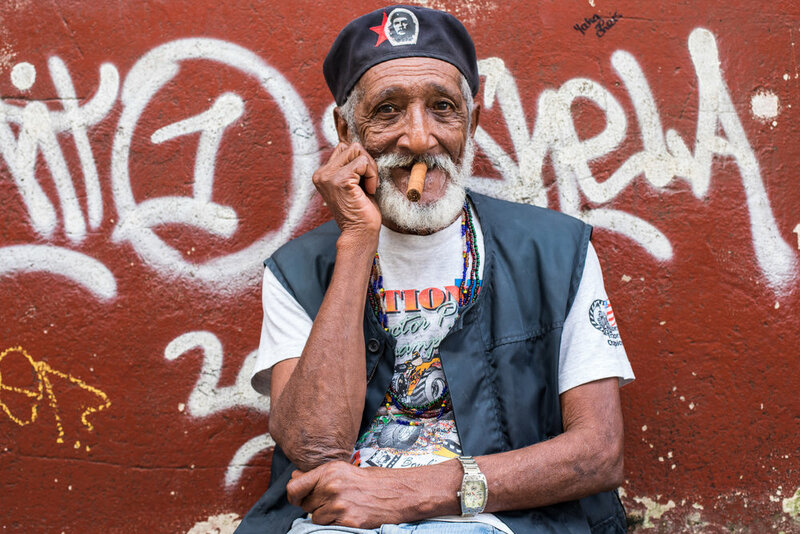 A man dressed as Cuban hero Che Guevara smokes a local cigar on the streets of Havana. A large Latina women smokes a cigar on the streets of La Habana, Cuba. 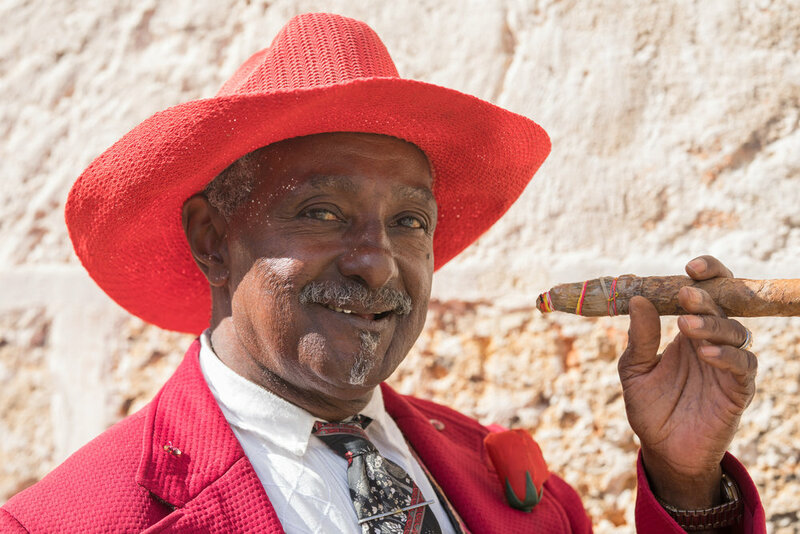 A friendly cuban in a bright red hat poses with a Cuban cigar. All of the above photos were taken with a Canon 5D IV using natural light. 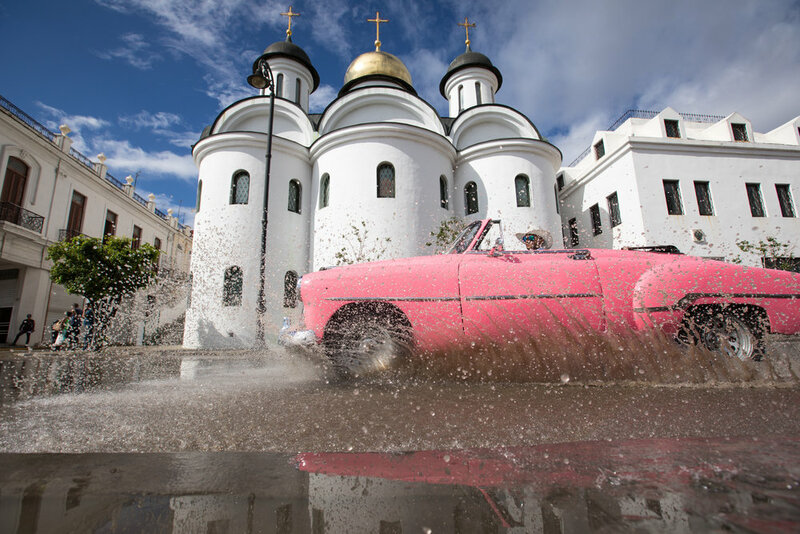 The lenses used were the Canon 50mm 1.4 prime lens and the Sigma Art lens at 135mm. 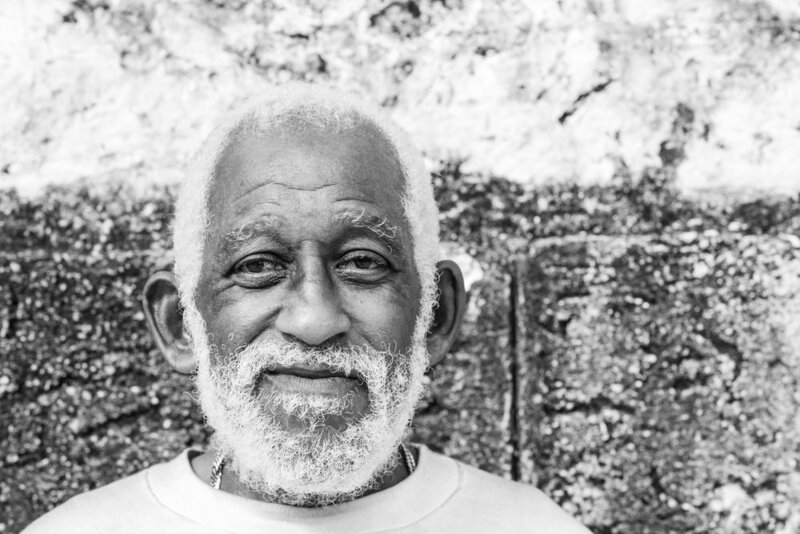 Some of the people I captured in Havana were there for the tourism and received money in exchange for photos, but a couple were strangers in the street whom I asked if I could photograph. I like the additional prop of the cigar in these head shot portraits, it adds a particular Cuban feel to the images.